Here's a post I found in drafts that I had forgotten to share with you. 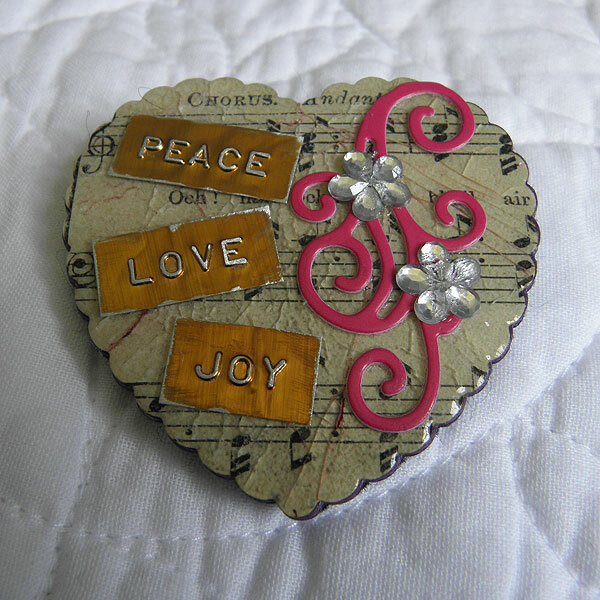 I made this brooch from layers of card cut with one of Tonic's Affections dies, then laminated together with Tonic's funky glue. 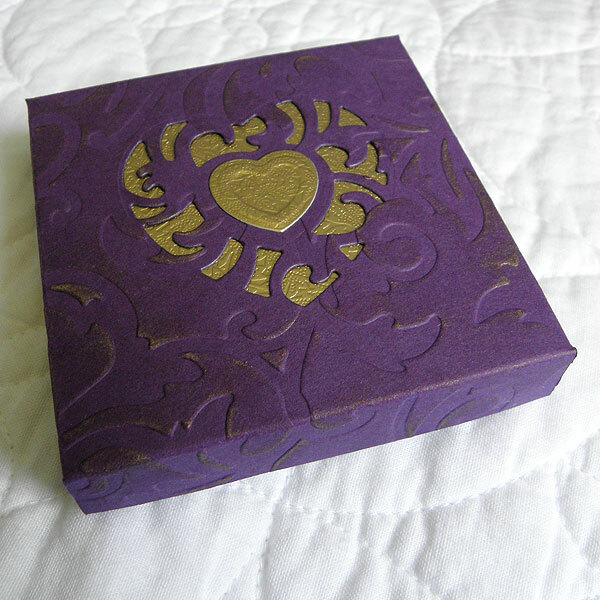 The box lid also used the affections dies and is embossed with one of Tonic's embossing folders. The music is from an old tatty Gaelic songbook. Before sticking the top layer to the brooch base, I used a few layers of clear embossing powder , then bent and cracked it to give it an aged look. The little swirl in pink is from Tonic too. It is cut it from the Emily frame die set. The wording was done on Tomato paste tube cut into strips and run through a Dymo lettering machine...then sanded to age the edges. 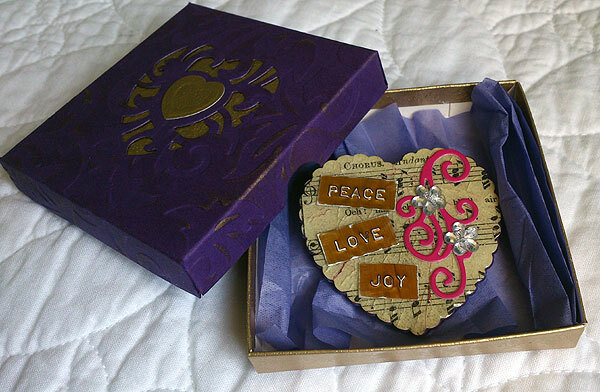 Really all you need to make a lovely gift, is some card, your Tonic tools and a bit of imagination. Let me know if any of you have ever used your Tonic tools to make some jewellery. I'd love to hear about it.